National Public Seating chair cart is suitable for storing your folding chairs. 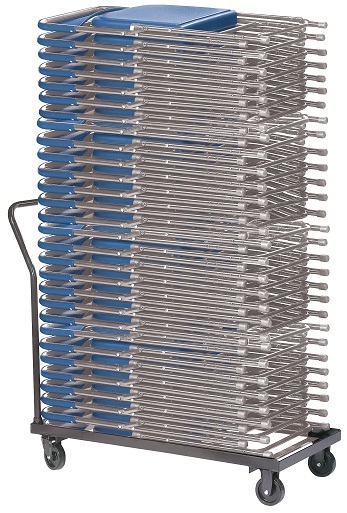 This folding chair dolly stores chairs in a flat stacking orientation. *Chair estimates are based on NPS chair models/series 800.? 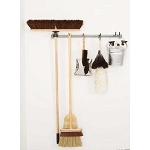 Chair Rack capacity and compatibility may differ depending on the brand of chairs. Order was quick and friendly. Was not expecting such an easy transaction. 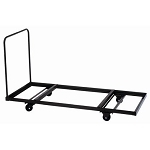 Q: Can the handle on this cart be changed for a straight handle, no curve at top? A: The handle on that particular cart cannot be changed. Feel free to contact us with any other questions. Fast Shipping: Orders for the National Public Seating DY700/DY800 generally leave the warehouse within 1-2 business days. Dimensions: 42" x 19" x 8"